Numbers are vibrations. Just as the planets affect our outer and inner lives, numbers represent vibrations that we sense, whether we are aware of it or not, and respond to with our actions, feelings and thoughts. When the numbers in our lives change - for instance a new address, new uniform number, or new telephone number, these transitions affect us energetically. Every new year, the change in numbers create a vibrational shift, and we all share the influence of this transformation. How you are affected specifically each calendar year by this change in energy is referred to as your Personal Year Number. Knowing your Personal year cycles can help you interpret the many changes happening within and around you. It is akin to reading the weather report before planning a trip. Varied energies are conducive to different activities and behaviors. There is a time to act, to wait, to change, to express, to explore or retreat. A season for everything! First, reduce the month and day of your birth to a single digit. You do this by adding each individual number of the date until the sum number equals a single digit. For example, if your birthday is December 19th. (December is the 12th month) You add the digits of the month (12) and day (19). In this example 1+2+1+9="13". You want to reduce this sum until you get a single digit, so in this case you add 1+3="4". Next, reduce the current year for which you are making the calculation to a single digit. For example, The year 2010 would become 3 (2+0+1+0="3"). Now, add the single digit representing your birthday to the single digit representing the current year. Thus in this case we ad 4+3="7", 2010 is a 7 personal year for this person. Another example, if your birthday is July 29, you add 7+2+9="18". Then reduce the 18 (1+8="9"). Then add that single digit sum (9) to the current year (which in our example is 2010 which reduces to 3). 9+3="12". 12 is a double digit so we reduce it further by adding 1+2="3". This person is in a 3 personal year in 2010. To simplify, you add the day and month of your birthday and keep adding until you reach a single digit. Now add that to the number the single digit total of the current year. If your total is a double digit, add those two numbers together until you reach a single digit. You got it? Now, look up your personal year below. Once you do that, you can look up your friends, your family, even your pets! You can do this every year. Have fun! This is a brand new beginning for you! Last year you completed a 9 year cycle. You most likely let go of some people and circumstances in your life, and now is time to plant seeds and embark upon new adventures. This is a wonderful time to do anything you have wanted to do but have been making excuses for. Now is the time to take action and be bold! This is not a time to wait and think about things, it is a time to do! You will have a lot of energy now, so do some form of physical exercise daily, otherwise you might experience nervous tension in your body or mind. Starting something new takes confidence. Believe in yourself. This Universe is helping you break out of your comfort zone and take your life to a new level! After the intense energy and changes of last year, now is a time to slow down and reflect upon your life and your choices. You might feel torn in two directions and some of your old identities are merging with you new ones. Be kind to yourself as you integrate these energies. Your emotions are on high and you might feel oversensitive or take other people's opinions to heart. That is why it is so important to take time and reflect on your needs and personal truth. What is it that YOU want? To find inner balance, you might need to draw more boundaries, say no more often, and learn how to receive. Where can you take back some of your energy? Are you giving more than you are receiving? Are there any areas in your life where you feel you deserve more? Explore those areas and find ways to balance your relationships in a reciprocal manner. Your intuition is highly charged now. To access this gift, you need to listen to your inner voice above all others. Perhaps you want to take up yoga or meditation, and spend more time in nature. Use this beautiful time to know yourself better and have the courage to take care of yourself! Since 2 attracts relationships, this can be a wonderful time to meet someone who helps you feel good about yourself, romantic or otherwise. But remember, finding loving relationships begins with honoring and loving yourself first! The world is your stage! This is a potently creative time, so instead of worrying about your future, create the life you desire by cultivating more joy and beauty within you. What do you find beautiful about yourself and your life? What feeds your spirit and makes you feel happy? Use your imagination to create the life you have always wanted. Instead of focusing about what you lack, plant the seeds of love and nurture them by giving attention to what you are grateful for and what you are doing right! 3 is a social energy so spend time with those people that help you feel good and raise your vibration. Your creativity is in full force now and it needs to be expressed. What activities would you love to do? Do them now. You will meet wonderful people and really feel good about yourself. This would be a great time to keep use your voice with singing, acting or writing. Any form of creative expression would be beneficial. Make sure you tell people how you feel, because your emotions are seeking an outlet. Before doing so, spend some time to find words that uplift and inspire rather than create more conflict. Focus on what is beautiful in yourself and others and your world will look and feel better every day. After the expansive creative energies of last year, this is a time to solidify your foundation and get the details of your life in order. This vibration governs earthly concerns such as your home, family, money, finances, and day to day activities. The four creates a square, so you want to square your corners and set the stage for the dramatic year of change that lies ahead. Anything you can do to get organized will serve you well, including tidying up the structural imperfections of your home, or establishing daily regimes or routines. This would be an ideal time to buy a home or establish a business, provided you pay careful attention to your contracts. Whether you are buying a home, investing in a business, or preparing for the future in any way, it would serve you to be very thorough with your financial planning and create a budget or spending plan. Your physical body will need more attention this year, so make sure to stay disciplined about getting enough rest and exercise. This might sound very dull and restrictive but it isn't. These disciplines will create more freedom and expansiveness for you in the long run. This can be a highly enjoyable time where you feel yourself becoming more secure and stronger in every moment. This can also be a beneficial time to enjoy with family. All of your hard work will pay off in the long run. You will be so glad you had the fortitude to build your foundation now. 5 Personal Year Get ready for a dramatic and exciting year! This year will feel like it is flying by because there will be so many changes and activities. After all the hard work of last year, this is a fantastic time to have fun and meet new people, or travel to distant places. You may even feel the urge to relocate. You will find your social life expanding as you feel more expansive as well. If there are any structures in your life that restrict you, now is the time to shake them off and seek new horizons. This is a wonderful time to have an adventure so if there is anywhere you want to go, buy your ticket! Or take that class you always wanted to take, or go to the theater, or even be in the theater! If you want to take up a new hobby, being in a group environment would be especially rewarding. If you are involved in the media or any way, or have always wanted to be, you'll feel extra blessed this year. If you want to grow your business, any type of advertising would prove worthwhile. Make sure that with all of these changes and new feelings that you don't scatter your energies. Listen to your heart to discern what is most important and make your decisions based on your intuitive guidance. You might make mistakes, but that is how you learn, and those lessons will serve you and help you to instruct others in the future. Balance is a theme for you this year. With all of the changes and excitement from the previous year, now is the time to restore your body, mind and spirit. Your home and family will take center stage, so you want to make sure your surroundings are harmonious and serene. Pay particular attention to the energy of your space, including the colors and sounds. Make any changes to your environment that help you feel peaceful and relaxed. Perhaps you want to beautify your personal image as well, such as investing in a new wardrobe or different hairstyle that helps you feel more attractive. If you have any health concerns, look for treatments that integrate emotional healing as well as physical. Yoga or dance would be an ideal activity for you to help you maintain balance between your body and mind. You might have extra responsibilities this year, particularly in your family, so make sure you take time to yourself and put your needs first. By taking care of yourself fully, you can better help others. You will enjoy spending more time with all of your loved ones this year, including children and pets. This is an ideal period to attract a romantic partner if you have not met one yet. If you are already in a relationship, you can add more romance by taking time to have fun together instead focusing on your responsibilities. If you are facing any choices this year, make sure you are basing your decisions on what you really want, rather than what you think you "should" do or what you fear others will think of you. Focus on love and harmony this year and you cannot go wrong. This is a year of victory where you can acquire spiritual mastery by learning to control your lower instincts and emotions. Take a break from the pressures of your daily activities to still your mind and restore your spirit. Reflect on what is meaningful to you and serves your purpose. If you can find time in nature, it will nourish every part of you, particularly if you retreat near the ocean. You might find you want to relocate closer to nature or live in a more serene environment, or at least go on a vacation. If you do not have a daily meditation practice, you might consider taking one up. This is an ideal time to engage in any spiritual activity or group where you can learn more about your chosen faith with others. Any course of study or research will prove worthwhile provided your heart is in it, and you are not doing it out of obligation. If you are a writer, this can be the year to create your best work yet! No matter what you engage in this year, you want to keep your mind focused on what you want, rather than let your emotions get the better of you. At times, you might feel that your emotions or outward circumstances are tearing you in two directions, leaving you angry or confused. This is an opportunity for you to gain dominion over your mind, so that you feel in control of your life, rather than feeling that circumstances in your life occur at random. If you find yourself getting overwhelmed, take a deep breath and stay in the moment. Stay focused on the big picture, and ask yourself if you have been making choices based on your personal truth, or if you have allowed others opinions to dominate your decision. As you learn to stay centered amidst change, you will learn to deeply trust yourself and the process of your life. These are valuable skills that will carry you forward for the rest of your journey. Now is a time to prosper! After all your hard work, you will begin to see the fruits of your labor. After the reflective introspection of last year, now is the time to act! And act big! What are your passions? Pay attention to those inner stirrings within you that make you feel excited and motivate you. Follow your bliss. You might find yourself wanting to do more, be more, experience more. This is good! What are some of those things that make you happy that you have been putting off? Don't delay any longer. Live your life to the fullest! Pursue your dreams by taking some risks. If you feel stifled in any way it is because you have been limiting your idea of who you are. You can own your power and leadership abilities more fully now, and that includes your ability to receive more financial abundance. You might find yourself challenged this year, as more is required of you, but that is only so you can experience your potential more fully. If you find yourself in power plays at work or in your relationships, it is to remind you that it is OK to be powerful, and not to be afraid to assert yourself. What is it that you want? Now go for it! And have fun reaping the rewards! Congratulations! You are on the final year of a 9 year cycle. You have learned a lot along the way, so take stock of all of your lessons because you will be passing this wisdom to others. You might find that others are drawn to you for advice or teaching this year. Trust that you have what it takes to guide them. You might be reflecting quite a bit on the past now, but this is only so you learn from it and move on. Make sure you are not holding on to the past. Let go of what no longer serves you. Finish up any loose ends and unfinished business in your life as you prepare for a new cycle. Forgive anyone who needs forgiving and that includes yourself! You might require more alone time this year, so you can connect with your intuition. There is nothing wrong with this. Value this time with yourself; there will be more excitement next year. This is a period for reflection, but it is also a time for recognition of everything you have done and achieved, so make sure you are taking stock of everything good in your life, and it will come back to you manifold. You will be harvesting your many rewards, so enjoy your bounty. You deserve it! May you have a rewarding and exciting journey whatever year you are in! 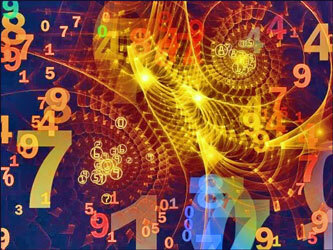 This is just a small sample of what numerology has to say about your Personal Year and how it affects your life. An extensive work-up can provide comprehensive insights into the next 12 months of your life. Though personal numerology consultations can cost as much as $250, a master numerologist's expertise is now available to our visitors for just $24.97. Click here to get your own indepth and insightful Numerology One-Year Forecast.